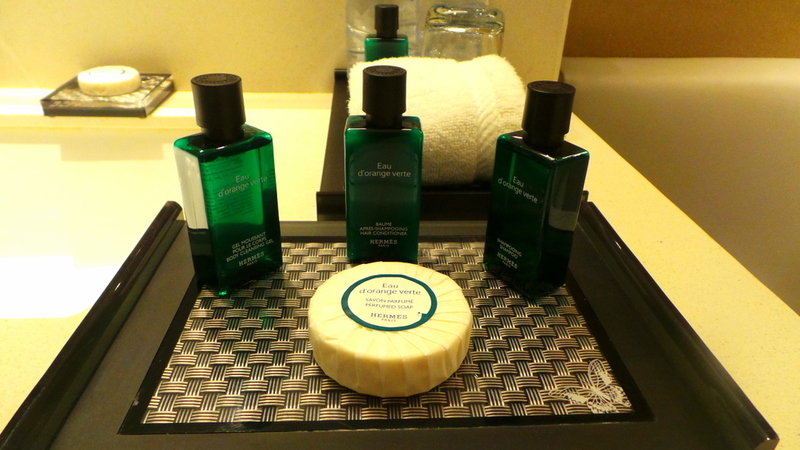 You can probably tell that I love hotels (just from the nature of this blog). I always get excited when I discover new hotel properties. 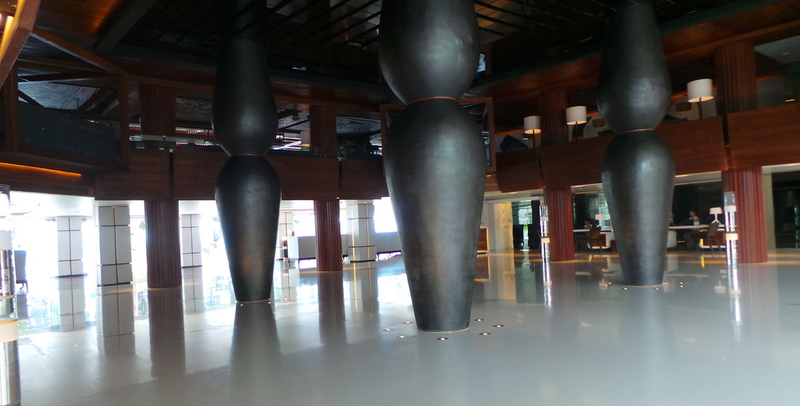 And I don’t know about you, but my heart skips an extra beat when I stay at a hotel in Asia. For one, Asia feels like home to me, and two, there’s something about Asian (specifically Southeast Asia) hospitality that’s extra warm and accommodating. 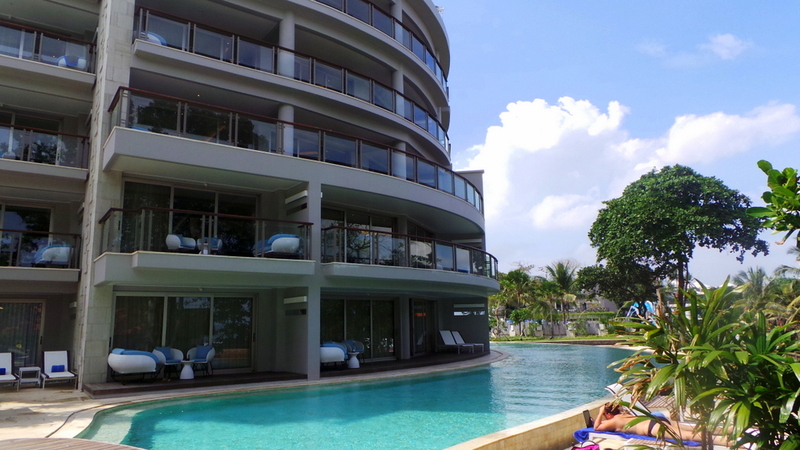 On my recent trip to Bali, I stayed at Seminyak’s latest luxury hotel – the Double Six Luxury Hotel in Seminyak. This is a hotel that I’m pleased to say has all the warmth in service found in most luxury Asian hotels, yet also the efficiency and quality of Australian / European hospitality. And this is also the very first time I’ve encountered a car check-in. 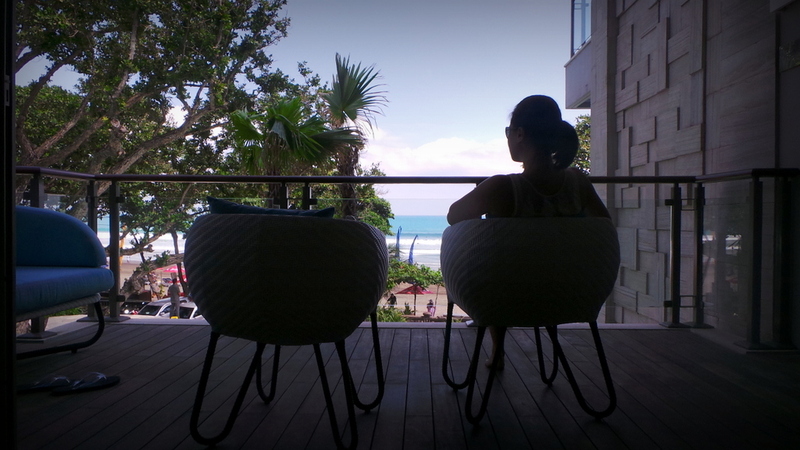 Check-in at Double Six Hotel Seminyak – Car check-in! First in my books! Armed with a portable scanner, Trisna, the lady from front desk who picked me up, explained that this is to ensure a smooth arrival as possible at the hotel. Just as I thought that room check-ins were amazing, this car check-in process has topped it all. I did after all, arrive close to 11PM so it really helped that the moment we arrived at the hotel, all we did was head straight to the suite. Trisna accompanied me to my room (Room number 220), an Ocean Facing Leisure Suite. Waiting by the door as we arrived was Budi, whom Trisna introduced as my butler. Budi gave me the most refreshing welcome drink (cucumber with mint and pineapple) that absolutely gave my senses a good wake up (it was after all, almost 0130 AM Australia time when I arrived). 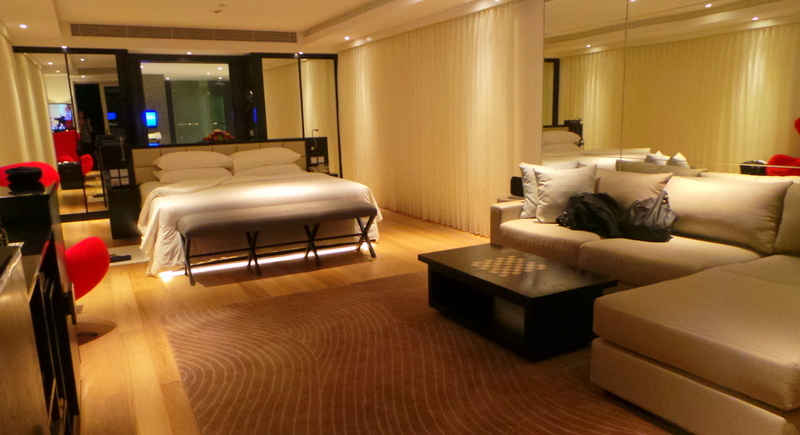 At 80 square metres, the suite was definitely spacious with great lighting. I especially love the neutral coloured theme on furnitures , with an accent on a stand-alone red royal chair. Budi showed me the different mood lights that you can activate in the room (red, blue, green). However, the basic standard lighting was my absolute favourite. There is a working desk behind the king-sized bed. I’m happy to report that this room does not lack in power outlets at all. There are 3 just in the bed alone (2 on each side plus the 3rd behind) and others can be found in strategic places throughout the room. WiFi was extremely convenient, fast, and free. 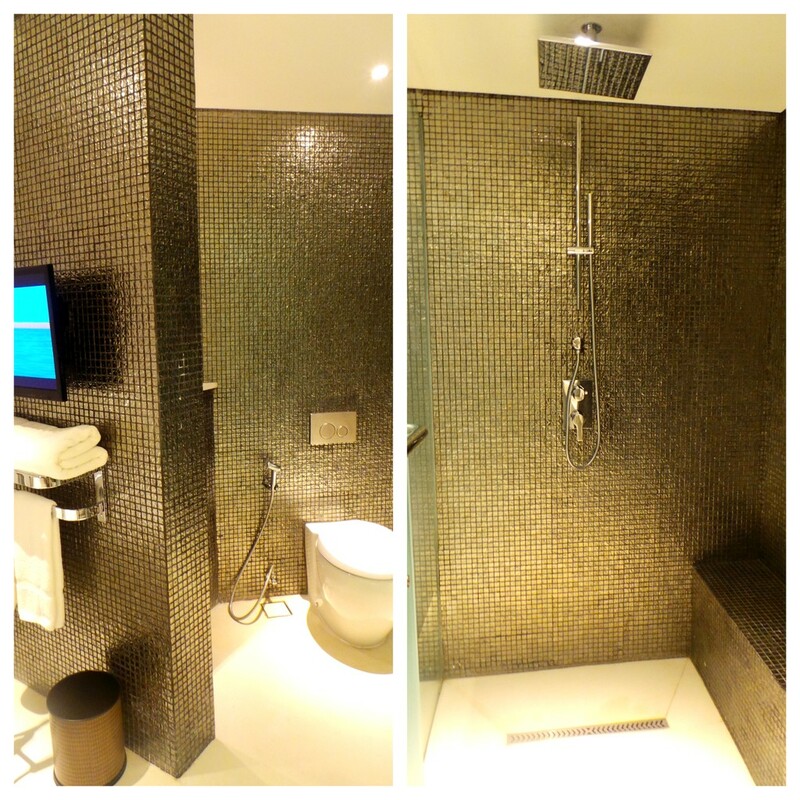 The bathroom easily became my favourite area in the room. 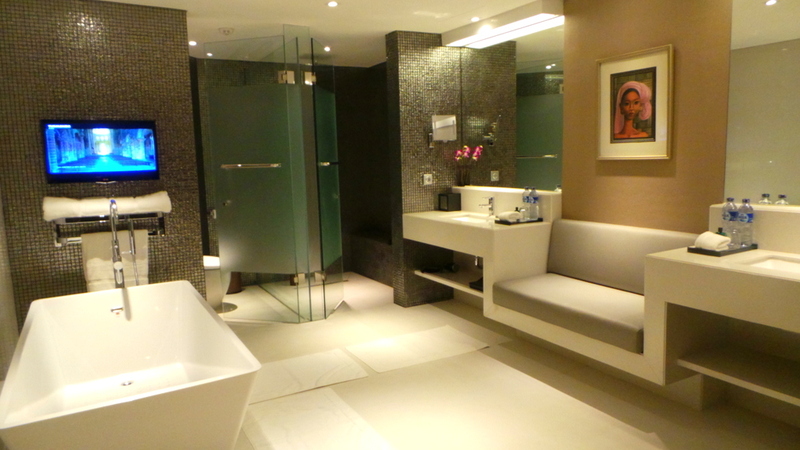 A standalone tub with tv, double sinks that are separated by a generous sized couch which served as my dressing area. The toiletries (hand soap, bath gel shampoo, conditioner and lotion) are from Hermes. They have a warm, mandarin orange- musky scent which I like. The suite has a private balcony which gives a view of the pool and ocean. I love the privacy of the balconies. The suites are not built evenly (some protrude more, and some are spaced out really widely) so there is no awkward neighborly peek especially when you want to spend quite sometime in the balcony to enjoy the view. 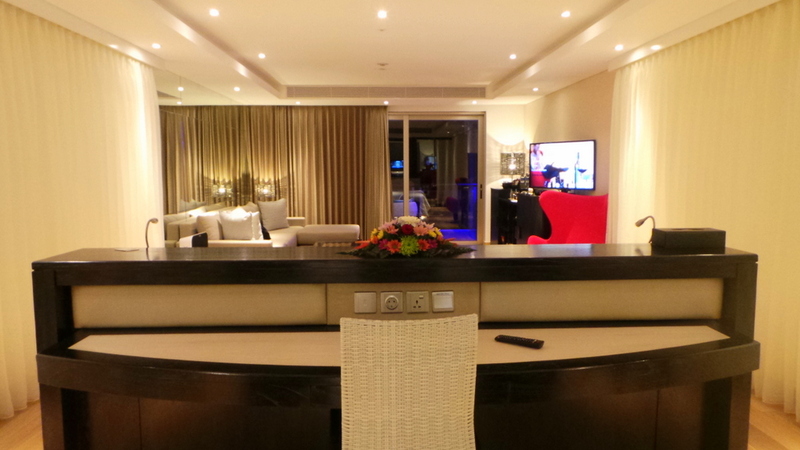 The standard of service at the Double Six Hotel Seminyak is definitely one of the best in Asian standards. All friendly and polite without being obtrusive. The butler service is 24 hours, and Budi (my assigned butler) advised me that they offer a packing and unpacking service, but I didn’t feel the need to take it on as I only packed for 2 nights. The property is also sprawling and there’s always staff on standby to assist and enquire if they may be of help to you. On my first afternoon I asked where the hotel spa was, and not only was I given clear instructions, I was also escorted to the spa. And 4 hours later, when I ran into the same staff who escorted me, I was even asked how my treatment was. It’s these touches of going the extra little mile that make the service really unforgettable. The hotel is still in it’s soft opening stage (official opening in August) , and most of the staff I interacted with began with profusely apologising for any noise or disturbance that I may hear or encounter. The only noise I ever heard was during the Spa treatment but that is to be overlooked as I was already having a relaxing time, and the noise was very faint. The hotel pool is 120 metres long and if you want to feel extra special on your holiday, you can book a suite with pool access located on the ground floor. The hotel has an amazing restaurant, Seminyak Italian Food. Even if you are not staying at the Double-Six, I highly suggest you book a table. Pasta is made from scratch everyday (they have a pasta room!) and seafood was especially fresh. The amazing service extends to the restaurant. All staff were extremely friendly and have perfectly anticipated all my needs. I didn’t even know it yet, but I was indeed being bitten actually. I was then handed a can of mosquito repellant spray (ever-ready!) however, I was later moved to the outside area. 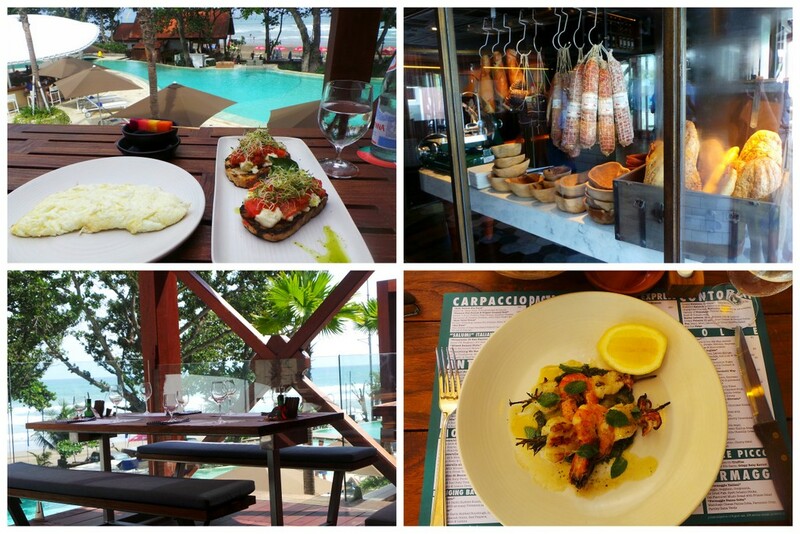 CLICK HERE for a full review of Seminyak Italian Food. I spent one whole afternoon dedicated to pampering at the hotel’s Acqua Perla Spa. I was also treated to the most unusual spa treatment I’d ever had– The Hydrotrail Therapy. I also had a traditional Balinese massage, an Elemis Lavender facial, and a hair spa. Easily the most wonderful, blissful afternoon I’d ever had pampering myself! 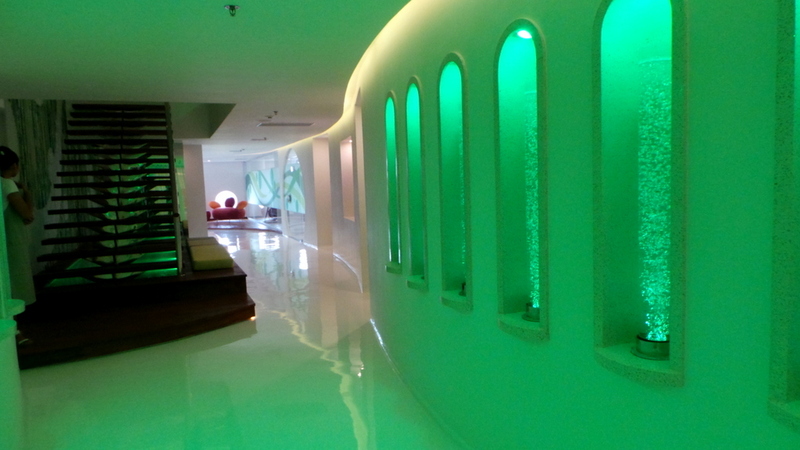 CLICK HERE to read the full review of Double Six Seminyak’s Acqua Perla Spa. Double Six Hotel delivers luxury in both the property (and amenities) and service. I’m amazed that at the stage the hotel is in when I visited, it’s only on its soft opening. The service is definitely the factor that sticks to me the most. 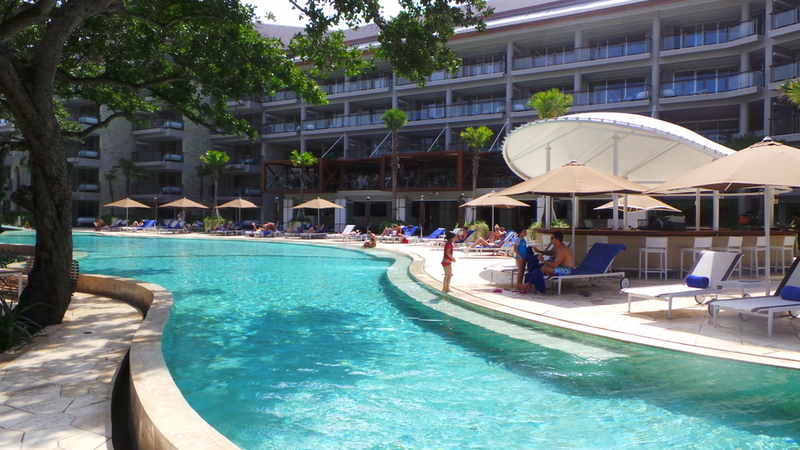 This is my first visit to Bali, and my first hotel in Bali. It has set my Bali standards quite high for future visits. All staff seem to be very experienced and highly trained in customer service. It’s the warmth of their personalities (genuinely friendly and not just a spiel) that I remember with fondness to this day. This was part of Jetstar Australia Dreamliner’s #FlytheDream trip. CLICK HERE to view my Jetstar Australia Dreamliner experience from Sydney to Bali and return. When was the last time a hotel’s customer service blew you away? This trip was sponsored by Jetstar Australia and Boeing. 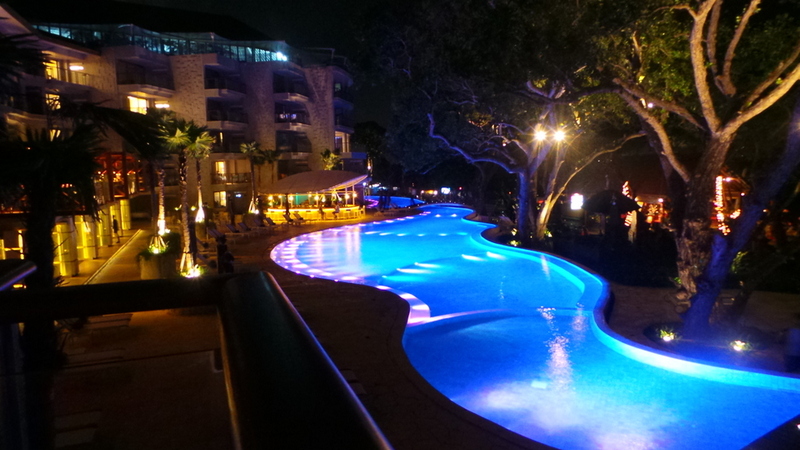 I stayed as a guest of Double Six Luxury Hotel but all thoughts and opinions remain my own. What an incredible place! Modern luxury at it’s finest. 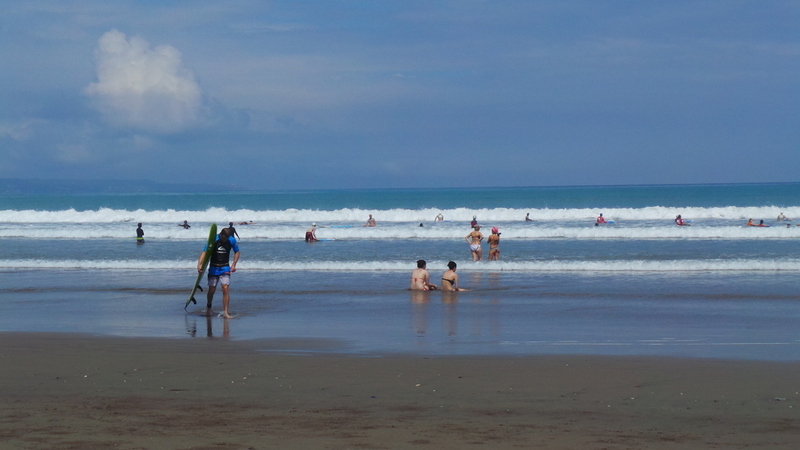 Seminyak was beautiful, have you had a chance to go to Villa Kubu to stay? If not, I highly recommend! 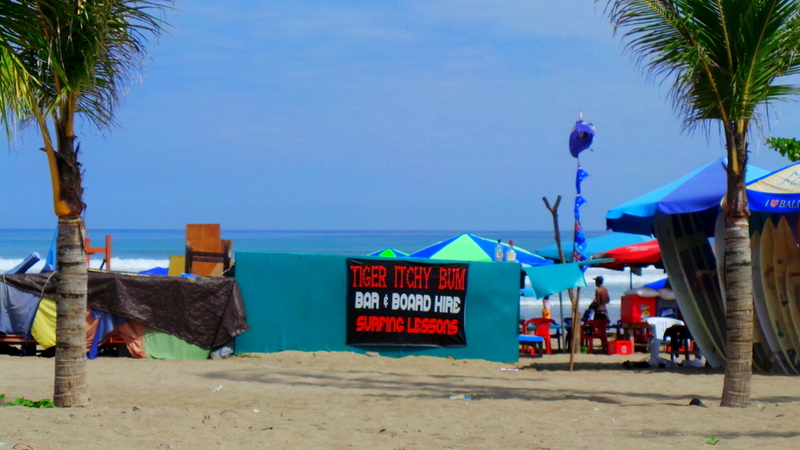 Also, if you get a chance, please have a look at my latest post on Balinese Cuisine! You may find it particularly interesting having been there! It wasn’t a hotel, but that cruise I mentioned on another post, the customer service totally blew me away, there was like 1000 people on the ship and the staff knew pretty much everyone by name, they remembered what drinks you drank and when you wanted to drink it too. And don’t even get me started on the food, the Chefs would whip up food that wasn’t even on the menu. Gah… it was the best! 2. Is that pool basically a lazy river? If so, that is AWESOME! LOL i know, I could live in that bathroom 🙂 The pool sort of surrounded the hotel, but it wasn’t flowing like a lazy river though that would be a good idea! 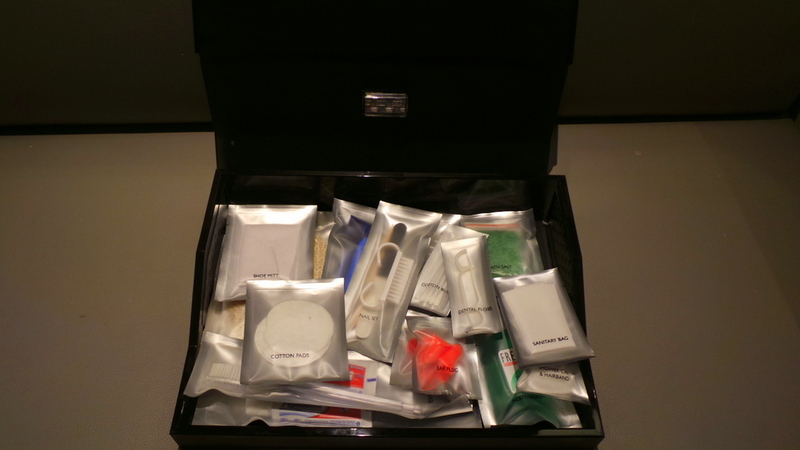 Guest Valet provide the best hotel amenities including toiletries, bath and shower, skin care products, electronics, USB adapters, minibar, etc. in whole of US.